Since the early 1900s, the corner of Franklin and First has been the cornerstone of local entertainment. The Lillian, built in 1913, was the first movie theatre in Clarksville. Following a fire in 1914, the Lillian was rebuilt in 1915 and saw thousands of patrons enjoying silent pictures. The theatre went “dark” during the Great Depression, but with the advent of Fort Campbell, the Lillian was renamed the Roxy. 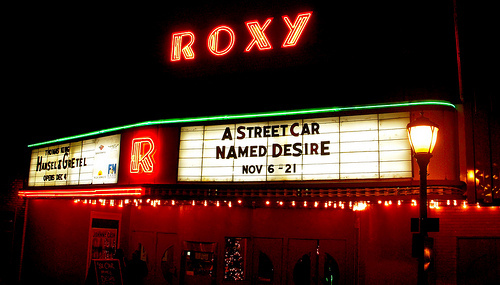 Following a second fire in 1945, the Roxy was completely rebuilt and became the new Roxy Theatre. A sleek exterior, featuring a new lighting called neon, beaconed movie-goers from miles around. Opening in 1947, The Roxy entertained Clarksvillians with first-run movies until 1980. In 1995, a professional company was created in order to supply the great demand for Shakespeare, other classics, school curriculum-based productions and holiday shows, and to enlarge the Roxy’s outreach services to the community. The Roxy Regional School of the Arts was also born in 1995, offering teens extensive training in modern theatre as well as being able to work alongside professionals. The summer offers a joint project between the Roxy and the Clarksville-Montgomery County Parks and Recreation Department, offering teens a six-week drama camp for a nominal fee. In 2016, Tom Thayer and John McDonald announced their retirement, after 33 years, and the Director of Fundraising and Development, Ryan Bowie, took on the role of Executive Director to lead the Roxy Regional Theatre into the next 33 years. The Roxy Regional Theatre. Professional Theatre. All the Time. 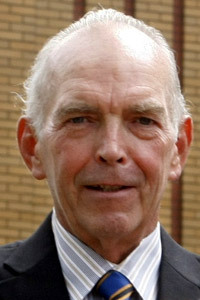 Tom Thayer, along with John McDonald, founded the Roxy Regional Theatre in 1983 and served as Executive Director for 33 years until his retirement in July 2016. Training includes Austin Peay State University and Lambuth College, and he is a graduate of the American Musical and Dramatic Academy, NYC. While living in New York, he worked as a public relations liaison for the Metropolitan Museum of Art, created and taught dance programs at the Dwight School and created and taught young dramatics for the Rhodes School. He is the founder of the Clarksville Theatre Guild, as well as the Roxy Regional Theatre, and has performed off-Broadway as well as throughout the South. With Artistic Director John McDonald, he created the Roxy’s Professional Company and serves as a director of the Parks and Rec Summer Playhouse. He was awarded the Ovation Award from the Austin Peay State University Center of Creative Arts, as well as the Point of Pride Award from the Clarksville-Montgomery County Board of Education and a Lifetime Achievement Award from the Clarksville Arts & Heritage Development Council. 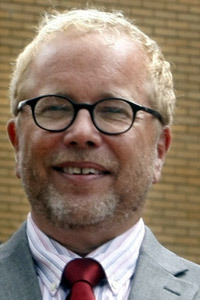 John McDonald, co-founder of the Roxy Regional Theatre, served as Artistic Director for 33 years until his retirement in July 2016. A graduate of the American Academy of Dramatic Arts, as an actor John has worked with the New York Shakespeare Festival, Macbeth with James Earl Jones; Long Wharf Theatre, A Lion in Winter with Ralph Waite; and productions of Long Day’s Journey Into Night (James); Macbeth (Macbeth); Who’s Afraid of Virginia Woolf? (George); and numerous others. As an instructor, he has taught theatre at the American Academy, The Rhodes School, The Dwight School, Hewitt, and is the creator of the Roxy Saturday Workshop, an acting program for young performers. Writing and production credits include, among others, The Magnificent Ambersons, Jekyll and Hyde, The Red Badge of Courage, Dorothy Dix: Speaks!, Nora Witzel: A Very Curious Fella, The Picture of Dorian Gray, All Quiet on the Western Front, Poe Unearthed and Headin’ South, Goin’ North.